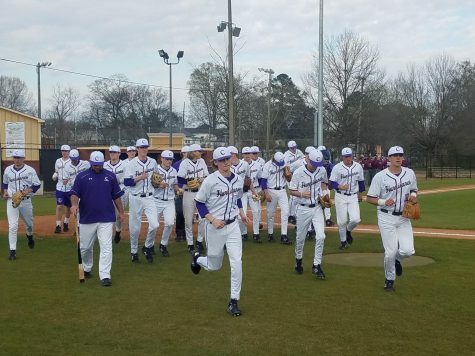 On Thursday, March 14, the Cartersville baseball team defeated Alexander, the ninth-ranked team in 6A, by a score of 3-0. Mason Barnett started on the mound for the Canes, throwing two strikeouts and allowing three hits and zero runs in four innings. Cartersville got the scoring going in the third inning. 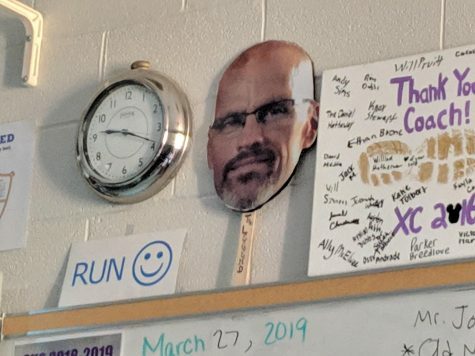 Cohen Wilbanks struck out swinging, but the Alexander catcher dropped the third strike and Wilbanks beat out the throw to first. With Wilbanks on first, Preston Welchel hit a triple to bring in the first run. Cohen Wilbanks relieved Mason Barnett in the fifth inning, throwing one strikeout and allowing two hits and zero runs in two innings. In the top of the sixth inning, Ian Inaba layed out for a beautiful catch on the run that Coach Kyle Tucker described as “… one of the best catches I’ve seen at Richard Bell Field.” Inaba made one more nice play to seal the deal for the Hurricanes. With runners on second and third, Inaba hit a double that scored both runners. Gage Morris closed out the game for the Canes, throwing one strikeout and allowing no hits and no runs in the seventh. The Canes moved to 10-3 on the season and prepared to face Sonoraville. 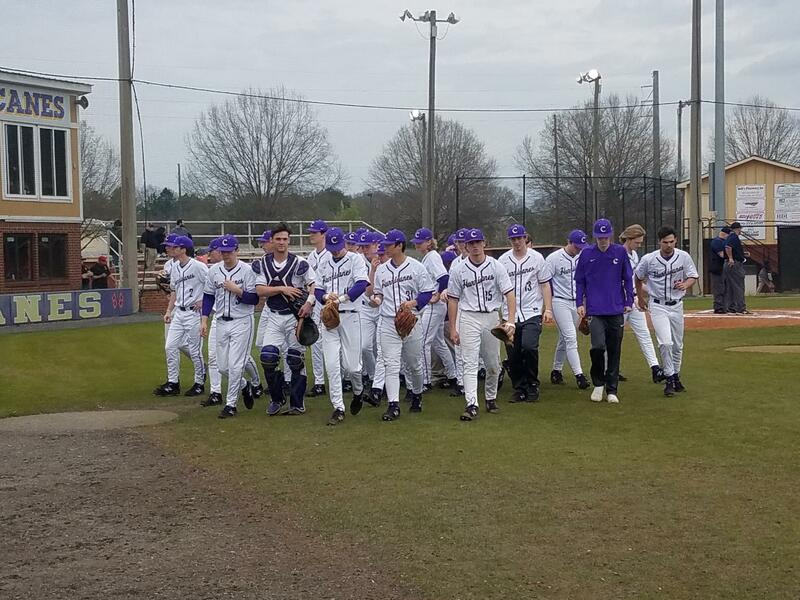 Cartersville took on Sonoraville on Saturday, March 16, at State Mutual Stadium and won by a score of 8-1. The Canes had help from a huge first inning in which they were able to score six runs and go through the entire batting order. Preston Welchel knocked in the first run off of a single that scored Josh Davis. With bases loaded, JP Martin was hit by a pitch to send in Welchel. A pitch in the dirt brought Jordan Wilkie home from third, a single by Mason Barnett brought in Ian Inaba, and a single by Kolby Adams knocked in Martin. After Noah Davis was hit by a pitch, Sonoraville changed pitchers. The new pitcher walked Josh Davis and Noah Davis was pushed home. The new pitcher quickly pulled it together and made two quick outs. Logan Martin came out on the mound for the Canes, throwing one strikeout and allowing two hits and zero runs in three innings. Cartersville continued to score in the second inning, with a deep double to left field by Ian Inaba scoring Jordan Wilkie. The Canes’ bats cooled down after that, as Cartersville didn’t score again until the sixth inning. The Hurricanes were able to throw a different pitcher each inning with JP Martin in the fourth (1 strikeout, 0 hits, 0 runs), Reece Thompson in the fifth (0 strikeouts, 1 hit, 1 run), Ian Inaba in the sixth (1 strikeout, 0 hits, 0 runs), and Hayden Davidson to close out the game in the seventh (0 strikeouts, 0 hits, 0 runs). Cartersville sits at 11-3 and will begin region play on Monday, as they travel to LaGrange.